Ronald Martinez/GettyLeonard could become a free agent in 2015. The San Antonio Spurs have always been able to lock up their best players before they hit the open free agency market. Tim Duncan, Tony Parker, and Manu Ginobili have rarely been free agents in the last decade. That will end after this season when Kawhi Leonard, one of the best young players in the NBA and the heir apparent to Duncan/Parker/Ginobili, will become a restricted free agent. Leonard and the Spurs were unable to sign a contract extension before last Friday’s deadline, ensuring he’ll hit the open market. This isn’t a sign that they’re going to let him go. The Spurs are just trying to save money. Since Leonard is a restricted free agent and not an unrestricted free agent, the Spurs can keep him by matching any offer he gets from another team. He is widely expected to command a max contract. Under the new collective bargaining agreement, the other 29 teams in the NBA can offer Leonard a four-year max deal with 4.5% annual raises. 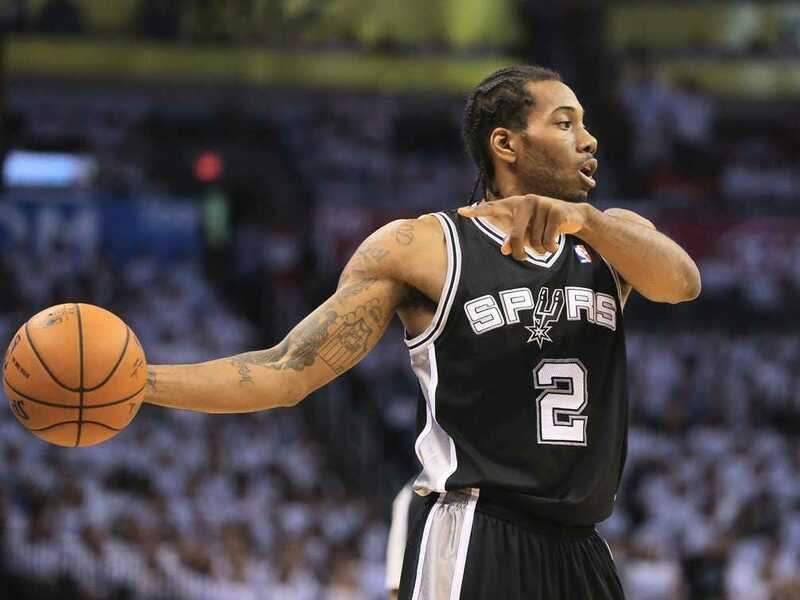 The Spurs, on the other hand, can offer Leonard a five-year max deal with 7.5% annual raises. As a result, it’s going to be cheaper for the Spurs to match another team’s offer than to make an offer themselves. They won’t be able to sign him for that fifth year — that’s the risk in letting him hit the open market — but they will save money over the life of the deal. According to Wojnarowski, the Spurs are expected to match any offer Kawhi gets. So while it may seem like the Spurs are leaving Leonard out to dry, they’re actually taking a calculated risk here. They will maintain financial flexibility while keeping a player they plan to build around in the future.